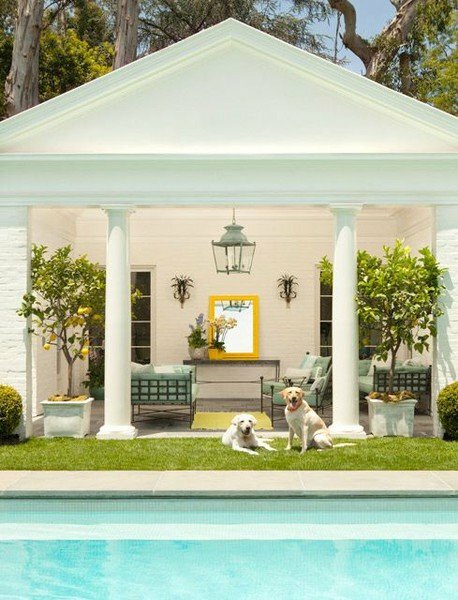 As designers, we receive many requests for the homes we design to be ‘kid friendly’. 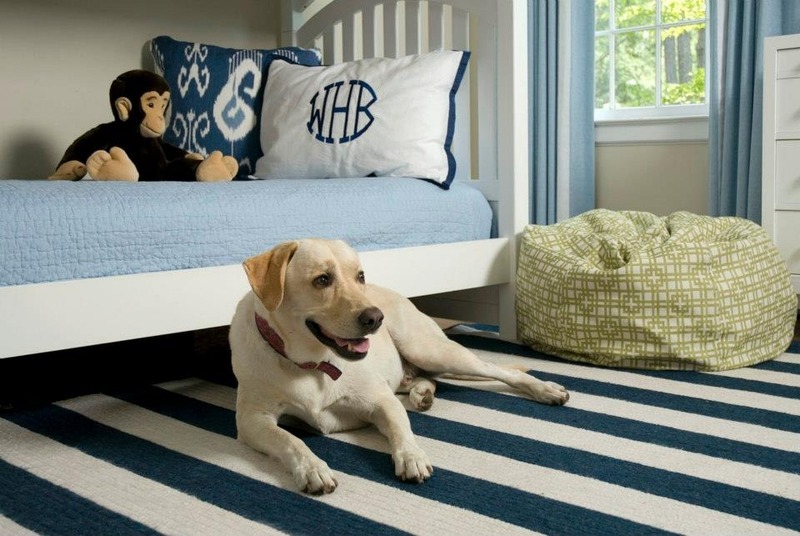 But, for many of our clients, their pets are just as important as the children and their needs should also be taken into account when designing a space. 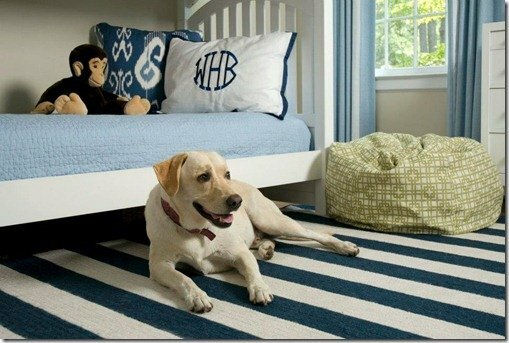 I just love this child’s room by Liz Carroll Interiors! Items such as durable fabrics, rugs/flooring that match dog hair, and a place to store food and toys are just a few of the requests I’ve received. 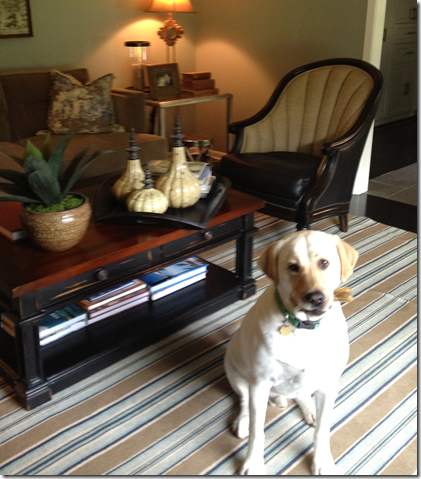 I asked a couple of my awesome clients to send me photos of their labs in the rooms we had decorated. Yes, we do design with our favorite family members in mind. So, so cute. 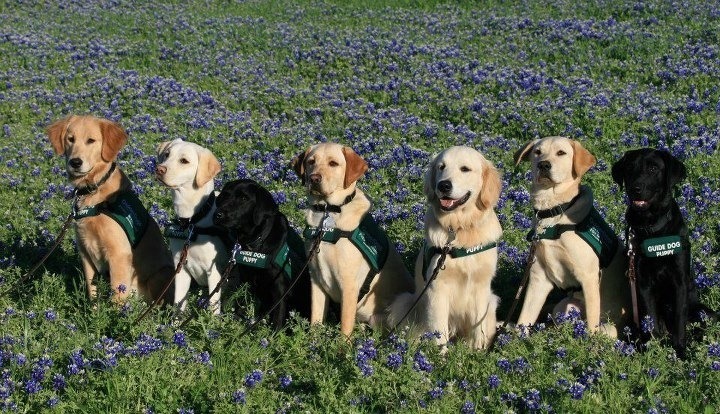 In case you are wondering why you are just seeing pictures of labs, beyond just being cute, labs and goldens are really smart and can be trained to provide a great service to the blind. 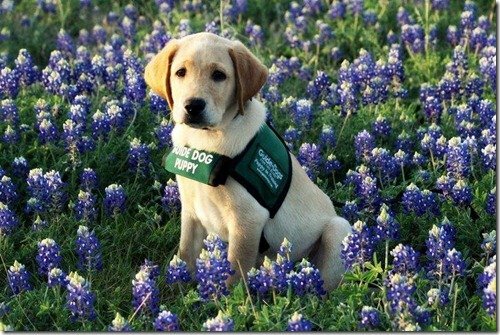 This is Fred, a Guide Dog in Training, in a field of Texas bluebonnets. Our good friends, Beth and Dave Adams (who live in Dallas), have been ‘host’ family to numerous ‘dogs in training’ for Guide Dogs for the Blind, the organization which provides blind individuals the use of a Guide Dog at no charge. The organization has a really interesting history. It was started in California during WWII to help returning servicemen who had lost their site, and has grown throughout the country since. Beth and Dave started working with the company back in California, and have since moved to Texas and have continued working with the program. Dave and his cohort, Sandi Alsworth, were just in Austin the other week with news that Guide Dogs for the Blind is opening a branch in Austin and are looking for volunteers to help! I know Austin is full of dog lovers who would love the opportunity to do a good deed while engaging in something they already enjoy. There are 3 ways you can help: Puppy raisers, puppy sitters, and volunteer. Puppy Raisers are voluntary families and individuals age 9 yrs. 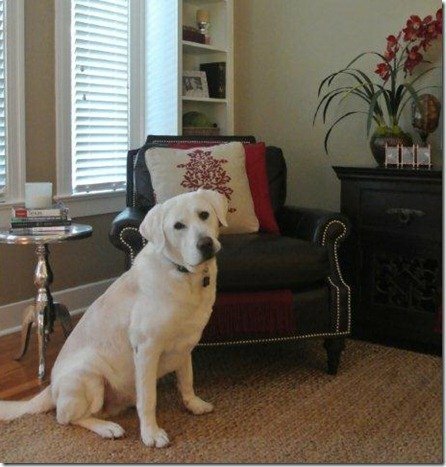 old and up that welcome an 8 to 10 week old puppy into their home and lives for approximately 15 months. During their stay with the puppy raiser, the dogs learn basic obedience, socialization, good house behavior, and how to be a calm and confident dog in a variety of situations. The puppies accompany the raiser to work, school, grocery stores, restaurants and on a variety of public transportation. At approximately 15 to 18 months, the puppy will be recalled to one of the campuses for its formal guide work training. The organization is currently accepting applications for puppy raisers in Austin and is also looking for volunteers for other organizational activities. If you are interested in puppy raising, puppy sitting, or volunteering in any other way, please email: www.lonestarpuppyraisersatx@gmail.com, or follow them on FaceBook at Lone Star Guide Dog Raisers Austin. I can’t wait to see this organization grow in Austin! What a great organization! All of those dogs are precious! !